It’s been the worst year of Steve Smith’s life. Stripped of the coveted Australian cricket captaincy over an ugly ball-tampering incident in March, he lost big-name sponsors and millions in salary. The 29-year-old has an estimated wealth of $27 million, putting him at 95th place. It’s a valuation based largely on his investments outside of cricket: a collection of Sydney investment properties and a 10 per cent slice of an online furniture company founded by two fellow Young Rich Listers, Dany Milham and Mitchell Taylor. Daniel Ricciardo’s wealth will swell when he swaps teams to Renault. Smith is not the only other well-known sports star to make his debut this year. 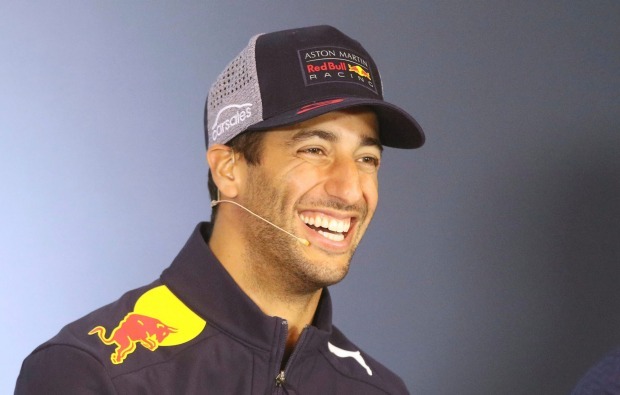 Joining him is Formula One driver Daniel Ricciardo, the laid-back bloke from Perth who’s created a signature podium move called “the shoey” (where he drinks Champagne from his racing boot). Ricciardo, who is based in Monaco, has an estimated fortune of $34 million, built up from his lucrative earnings from the race track. His wealth is set to be supercharged when he switches teams to Renault next year with a two-year deal reportedly worth $70 million over two years. Former Australian cricketer Shane Warne on Monday told ABC’s 7.30 that while Australians were disappointed and embarrassed by the scandal, Smith made “a silly mistake and an error in judgment” and the country was too quick to “hang people and just nail them”. “He’s a wonderful captain, he’s a great player. He just made a silly mistake and I don’t think the punishment fits the crime. Twelve-month ban for that? Equate to about an $8 [million], $10 million fine. This week Smith was at Parramatta Marist High School in Sydney’s west, talking to young boys about what he went through in the fallout from the ball-tampering incident and how important it was to have supportive people around him during that time. He also donated his $100,000 contract fee (minus tax obligations) from Canada’s T20 tournament to grassroots cricket organisations. He owns six homes across Sydney, bought between 2011 and May 2017, stretching from Sydney’s beachside Coogee to Marrickville in the inner west. Property prices began falling in mid-last year but over the past five years prices have risen about 70 per cent. The ban cost Smith his place as the world’s best test batsman, a position now held by India’s Virat Kohll. Previous articleWhat is the Magnitsky Act? How does it apply to Khashoggi’s case?